Neil Everett, the popular ESPN SportsCenter anchor known for opening each show with Howzit! 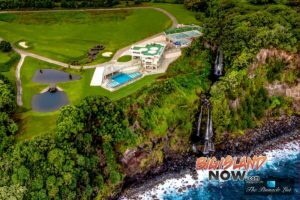 and frequently referencing other Hawaii terms during broadcasts, will present the opening keynote address on the second day of the 2017 Global Tourism Summit in Honolulu. Everett will make his presentation on Wednesday, September 20, starting at 8:30 a.m., at the Hawaii Convention Center. His topic, Paying Aloha Forward – How Hawaii Saved My Life, will draw upon the inspiration of Hawaii’s aloha spirit in helping to steer him through a difficult period in his life and how, today, he shares the power of aloha with others. Everett moved to Honolulu in 1985 after graduating from the University of Oregon. For the next 15 years, he worked in the athletics department at Hawaii Pacific University, while also writing, producing and reporting news and sports at various times for three Hawaii TV networks, KITV, KHNL, and KGMB. Everett joined ESPN in 2000 as a SportsCenter anchor at its headquarters studio in Bristol, CT, before moving to Los Angeles in conjunction with the opening of ESPN’s West Coast studio in 2009. Presented by the Hawaii Tourism Authority (HTA), the three-day Global Tourism Summit, September 19-21, will share the significance of the Hawaiian culture, global marketing, technology and innovation in presentations and panel discussions, with the overall intention of bringing people together to help improve tourism in Hawaii and abroad. Sustainable tourism is the summit theme. Attendees can register to attend the Global Tourism Summit and hear Everett’s keynote address by registering online at www.GlobalTourismSummitHawaii.com. 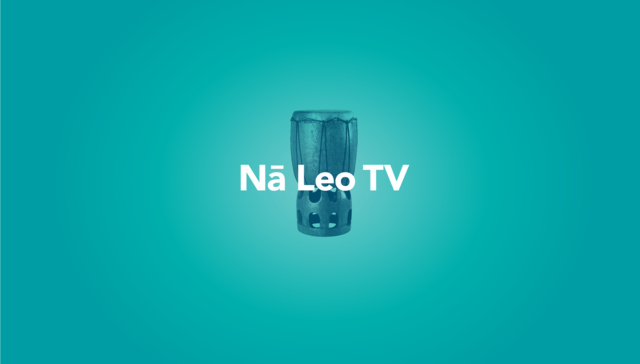 Nā Leo TV announces they will be broadcasting live their June edition of “Hawai’i Island Conversations.” This special show will feature a panel discussion on the Thirty Meter Telescope project, a proposed astronomical observatory that has become the source of controversy over its planned location on Mauna Kea. Tentatively scheduled to appear on the panel are Harry Fergerstrom, E. Kalani Flores, Kealoha Pisciotta, along with Douglas Ing, Paul Coleman, and Richard Ha. “Hawai’i Island Conversations” is a new series highlighting relevant topics, stories and people impacting Hawai’i Island. 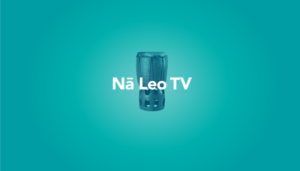 Nā Leo TV, broadcasting on Oceanic Time Warner Cable public access Channels 53, 54, and 55, via the internet at www.naleo.tv and on social media at @naleotv. For almost three decades, PBS has presented this night of remembrance dedicated to the country’s men and women in uniform, their families at home and all those who have given their lives for our country. Emmy Award-winner Gary Sinise, who has co-hosted the concert for the past eleven years, will present a 75th anniversary salute to the Doolittle Raiders, the aviators who changed the course of World War II in the Pacific. Students from Hawai‘i schools returned to the Islands with 20 percent of the 196 total awards given out at the 14th annual Student Television Network (STN) Convention in Anaheim, CA, held March 28-31. The complete list of Hawai‘i results is included below. NASA is hosting a media day on Feb. 8 in O’ahu, Hawaii, to spotlight two field campaigns that seek to unlock some of the mysteries behind two of Hawaii’s treasured natural resources: coral reefs and volcanoes. Starting Feb. 10, NASA will fly its Glacier and Ice Surface Topography Interferometer (GLISTIN) on a Gulfstream III aircraft to observe lava flow patterns at Kilauea on Hawaii’s Big Island. This month, scientists begin collecting data on coral reef health and volcanic emissions and eruptions with NASA’s Hyperspectral Infrared Imager (HyspIRI) preparatory airborne mission onboard the high-altitude ER-2 aircraft. Starting Feb. 10, NASA will fly its Glacier and Ice Surface Topography Interferometer (GLISTIN) on a Gulfstream III aircraft to observe lava flow patterns at Kilauea on Hawaii’s Big Island. The event will be held at Marine Corps Base Hawaii from 1 to 4 p.m. HST and will feature briefings by volcano and coral reef scientists and tours of the ER-2 aircraft. Mission personnel will discuss the HyspIRI science instruments and different data collection methods, including an autonomous kayak for coral reef research, and describe how NASA uses field research in developing future Earth-observing space missions. This event is restricted to U.S. media. Reporters planning to attend must contact Kate Squires at 661-276-2020 or kate.k.squires@nasa.gov no later than noon PST on Wednesday, Feb. 1. The data collected from the HyspIRI has the capacity to support a potential future satellite mission to study the world’s ecosystems and provide information on natural disasters. GLISTIN provides data critical to understanding and modeling ice sheets, how fast they are changing, and what are the driving processes controlling these changes. These field campaigns are examples of how NASA collects data from space, air, land and sea to increase our understanding of our home planet, improve lives and safeguard our future. A local company is seeking “Hawaii Locals” to host a new Hawaii-Based television series on food & drinks for a major cable network.